I’ve spent the last few days pondering Wonder Woman’s new uniform. I’ve read the interviews. 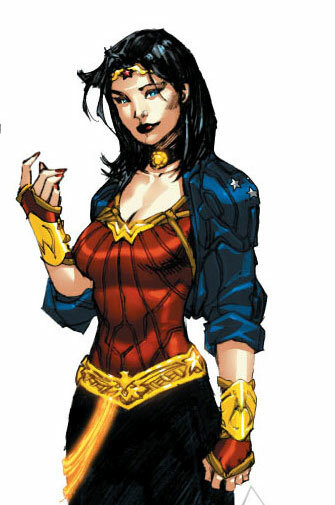 I’ve perused the Comics Alliance recap of all of Wonder Woman’s uniforms over the years. I’ve pondered the meaning of feminism and power in relation to bikini briefs and high heels. I finally decided that it all boils down to this one fact– I would totally lift my lifetime ban on dressing up to cosplay that outfit.